Stephen Lund’s GPS Doodles #ArtTuesday « Adafruit Industries – Makers, hackers, artists, designers and engineers! 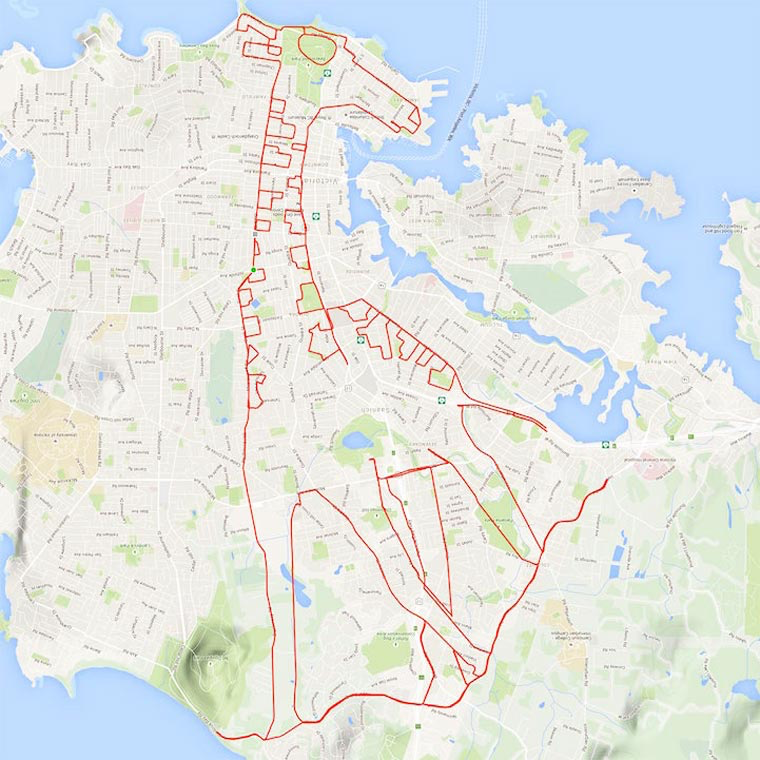 Here are the GPS Doodles from Canadian artist Stephen Lund, who is having fun drawing on maps simply by using his bike and the GPS of his smartphone! In 2015, the artist have traveled almost 5000 kilometers to draw portraits, animals or characters through the Canadian streets and roads. He then captures his route with the Strava app, a social network dedicated to sports. A nice way to stay fit!